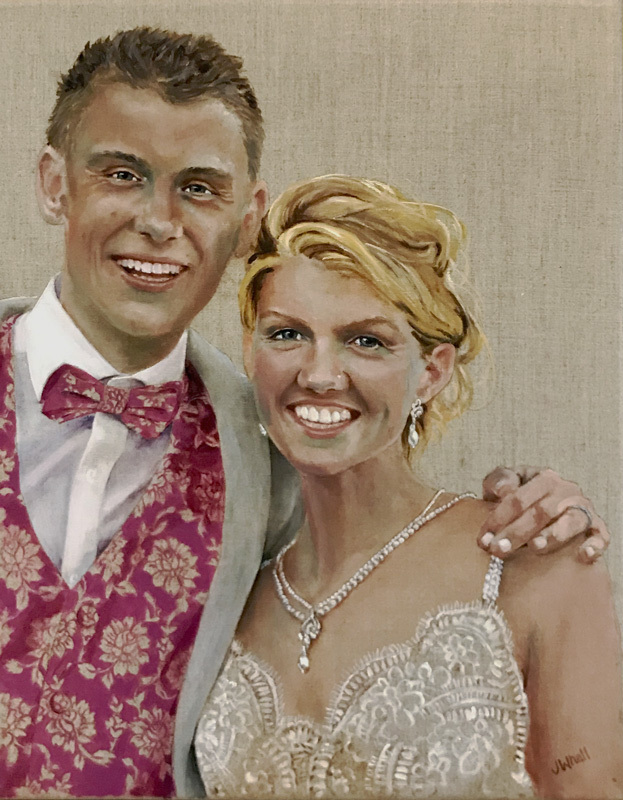 I have finally given Charlie and Anna the painting of their wedding day so I can now let you all see the YouTube clip of it's painting and publicise it generally. It's been sped up and is just over 5 minutes long, the actual painting took around 8-9 hours in total. I used a limited palette to paint this, quite a fun experiment in colour. It's accompanied by a song by Stuart Townend, one of Charlies favourites, sang at the wedding so it seemed quite apt for this clip.